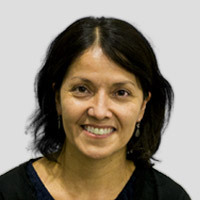 Mary Beltrán specializes in critical studies-driven scholarship at the intersections of film and television studies, Latina/Latino and critical race studies, and gender studies. Informed by her prior careers as a journalist and social worker and her own bicultural upbringing, Dr. Beltrán writes and teaches on U.S. Latina/o media studies, racial diversity and the U.S. media industries, mixed race and media culture, U.S. television and film history, feminist media studies, and media activism and independent media production. Dr. Beltran’s scholarship has explored such topics as the evolution of Latina/o film and television production and stardom since the 1920s, the implications of the rising visibility of mixed-race actors and characters, and strategies on the part of television networks to appeal to more diverse audiences. She is the author of Latina/o Stars in U.S. Eyes: The Making and Meanings of Film and TV Stardom (University of Illinois Press, 2009) and co-editor, with Camilla Fojas, of Mixed Race Hollywood (NYU Press, 2008). Her recent publications include “Fast and Bilingual: The Fast Franchise’s Lucrative Embodiment of U.S. Borderlands,” “SNL’s ‘Fauxbama’ Debate: Facing Off Over Millennial Mixed(-Racial) Impersonation,” and “From the Bronze Screen to the Computer Screen: Latina/o Web Series and Independent Production,” co-authored with RTF graduate student Vittoria Rodriguez. She is currently working on a new book, Bronzing the Box: Latina/o Images, Advocacy, and Storytelling in U.S. Television. Dr. Beltrán is the Faculty Coordinator for the Moody College of Communication’s Latino Media Arts & Studies Program and Faculty Director of the college’s Latino Media Studies minor. She is also an active affiliate of the Department of Mexican American and Latina/o Studies and the Center for Women’s and Gender Studies. She is the co-editor of the Race and Mediated Cultures book series with Ohio State University Press, and from 2014-2017 was an elected member of the Board of Directors of the Society for Film and Media Studies.